The right fit for your businessMatch the right device to the specific job from Salesperson, Service Advisor, Technician, Parts Department, Drivers and Management to the way your dealership works. 100% of phone calls from every device published to your CRM Guaranteed. No more adverse selection by employees deciding which prospect to log. Cloud VoiceDealerTEL's enterprise class hosted voice solution is based on our industry leading network core. Nationwide MobileDealership emplyees can finally ditch their desk phones without losing PBX features and device management. On-Hold MessagingShowcase the voice of your Dealership every time a caller calls. Call Recording & Speech AnalyticsRecord 100% of your desk and mobile phone calls. Analyze every conversation in real time. On Demand Wireless RedundancyWireless back up that provides a redundant path to the internet in the event your primary internet connection fails. 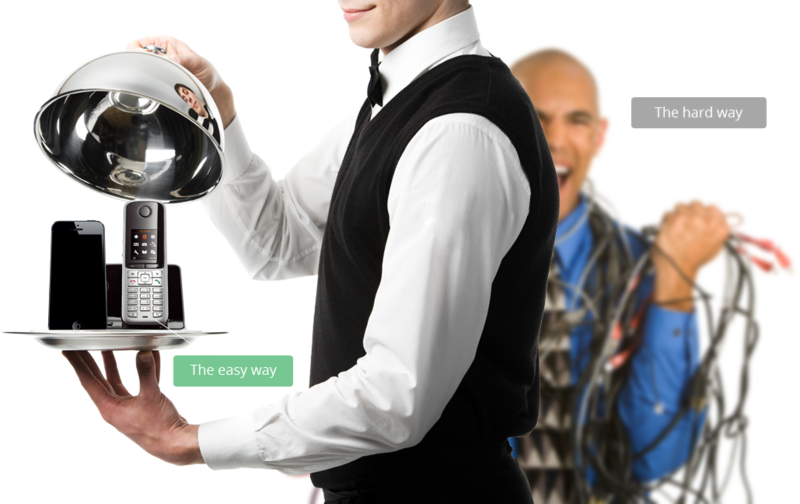 High Speed NetworkVoice optimized dedicated private and Internet connections. Fiber Optic, Ethernet and Wireless. Private Data CenterSecure your servers offsite and mission critical connections in a custom private data center with 99.9999% uptime. Private Cellular NetworkFill coverage gaps and lower cellular costs with a personal and private cellular network. 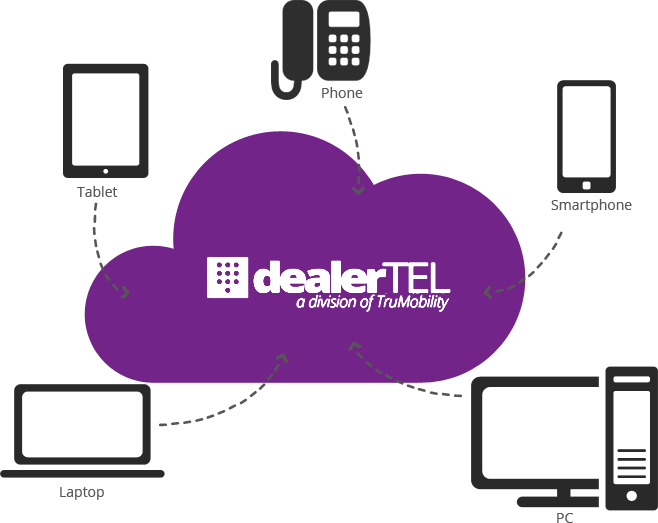 With dealerTEL, you have an experienced partner in every facet of your dealership’s communications needs. The dealerTEL team has over 100 years of in-dealership technology experience. Only dealerTEL has an end to end product portfolio together with the experience to be your single source communications provider for Mobile, Desk phone, Network, Call Recording, CRM Integration that guarantees you that 100% of your inbound and outbound calls will be published to your CRM. Combining your High Speed Internet, Desk and Mobile phones and Call Recording, into one integrated suite can reduce your overall communications cost by up to 50%. Our dealers enjoy the benefits of enhanced communication features at a significantly lower cost. Today’s dealership relies on cloud based solutions for everything from Telephone, DMS, CRM, Video Surveillance, Manufacturer required connectivity and more. High speed redundant connectivity is mandatory. With dealerTEL you can now have all your mission critical connected applications and servers housed in one of our regional private data centers. Our co-locations provide the ultimate in speed, security and redundancy with 99.99999% uptime.